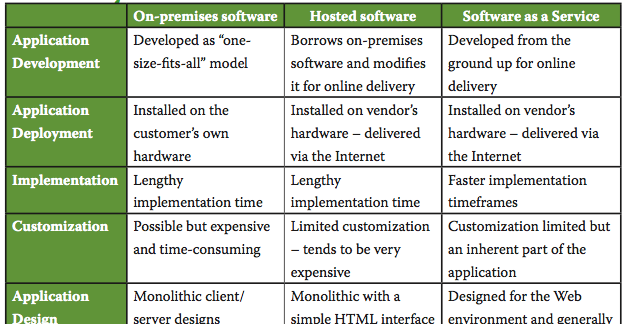 Notes on how software can be delivered, and distributed, and other related topics. For Package Managers, see jandp.biz / is / apps / packagemanagers/. Also consider information in User Interfaces section - highly relevant when start talking about, using, different forms of hosted/cloud services. Command Line Interfaces, Human Machine Interfaces, and also machine-to-machine (M2M) protocols, for application programming interfaces (APIs) and such..
"This is the traditional model that most ERP customers still use. In this model, you buy the software, and the vendor gives it to you (as download, or actual DVD/CD). You would then install the software on your own server and, if necessary, on individual computers/desktops." "Assuming your ERP software requires a server to run, which most do, you may find it too burdensome to have your own server in-house. In such a case, many vendors or third parties will allow you to use their servers, located in secure data centers, to run your software. You own the software, but you pay them a monthly fee to run it for you. 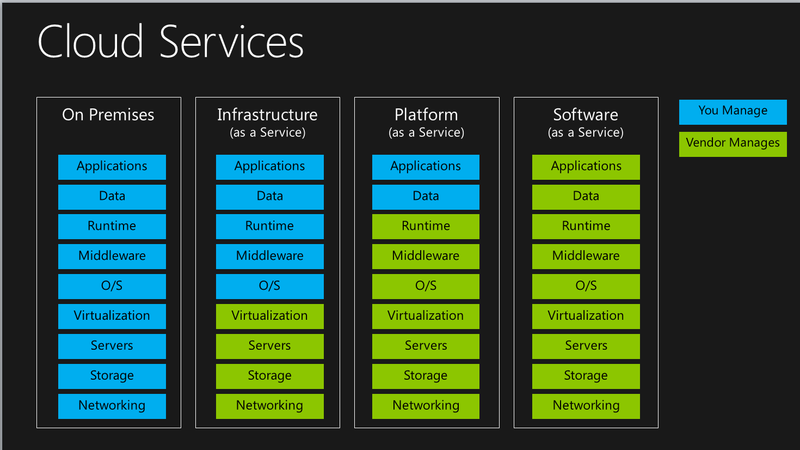 This includes doing all the backups, security, server maintenance etc…"
= Infrastruture- or Platform- as-a-Service. "A public cloud ERP solution is one that is owned and remotely hosted by the vendor. In most cases, rather than licensing the software itself, you pay a subscription for the services they offer, which is a licensing model called Software as a Service (SaaS). You do not own the software in this scenario, you subscribe to it." "This is more of a catch phrase than an actual technical term, but it refers to the concept of using the same tools a public cloud service would offer while hosting them on-premise. In some cases, the service provider may still manage and update the server remotely, as is the case with Windows Azure Platform appliances. This gives customers the flexibility to develop their own customizations and applications, while still having the benefits of a prepackaged SaaS solution." 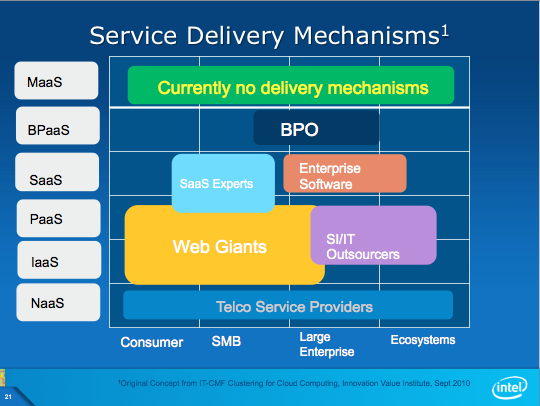 "A hybrid ERP solution is one that maintains on-premise software but also integrates a degree of cloud services. Microsoft refers to this as Software-plus-Service, and it is one of the major advantages of using Microsoft Dynamics products. A hybrid solution allows the customer to easily migrate from one delivery model to another without losing data or functionality." The illustration below provide as rather good introduction to concepts and terminology. 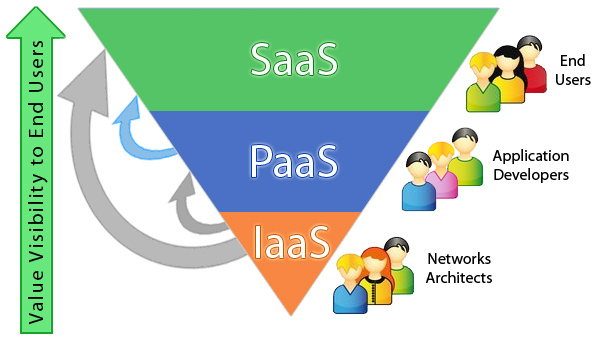 The different levels of as-a-services offering are appropriately introduced in graphic above.